We know the iPhone emits radiation, but how much? The answer: Apparently enough to light up luminous glyphs on the back of an iPhone case. 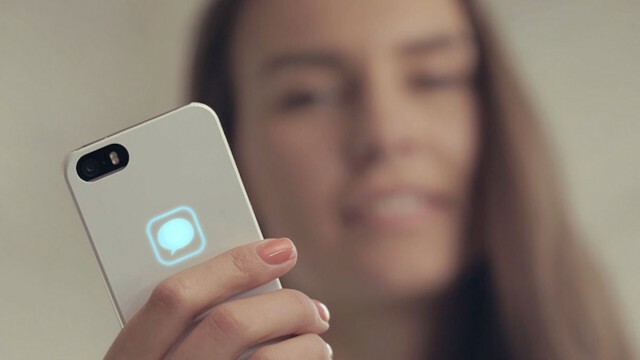 A bunch of inventive Ukranians — the same ones who brought us the iBlazr LED phone flash — figured out this little trick, and created the Lunecase, an iPhone 5/c/s case with symbols on the back that light up when you receive a text or phone call. Concepter, which is the name the outfit behind iBlazr and Lunecase has now adopted, says the electromagnetically powered symbols will light up even before the iPhone pops up a notification — presumably because the incoming text or call trips the Lunecase’s embedded sensors before tripping the iPhone’s own systems. No, the Lunecase isn’t terribly useful. but it is ridiculously cool and geeky. Who knows, perhaps it’s a first step toward a whole new path of possibilities. The Lunecase ships in August, and can be pre-ordered now on Kickstarter for $39.